The ELAD FDM-SW2 software has a lot of features, but its manual leaves a lot to the imagination. As a result, I may not be using all the capabilities of the software. So I will continue to study the manual, play with the software and try to figure it all out. I am having a great time using the ELAD FDM-S2 SDR receiver. I particularly like the "time machine" feature, which I have been using to record the whole AM broadcast band at the top of the hour and then play it back to hear all the recorded stations. In the "I learned something new" department, switching to LSB or USB, I was able to identify stations that were down in the mud and unidentifiable in the AM mode. Antenna used is an 80-meter inverted Vee. Thank you for your suggestions on how to fix the interference problem I encountered while using the ELAD FDM-S2 SDR receiver with my MacBook Pro computer. The source of the noise seemed to be the computer's battery charger/power supply, but all my attempts to fix the problem failed until I noticed that my Heath coaxial switch was not grounded. I assume its connection to ground had been disconnected while I was rearranging the furniture and I forgot to reconnect it. Reconnecting the switch to ground made a big difference and eliminated most of the noise on the AM/MW band. The first four stations were found by randomly tuning of the bands. The remainder were gleaned from recordings of the complete AM band recorded at 0400 and 0700 UTC on various nights this past week. Antenna was an 80-meter inverted Vee. 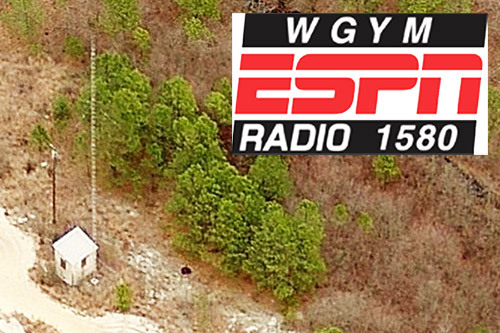 - WGYM on 1580 kc in Hammonton, NJ, transmitting 1 kW 168 miles to the SSW. 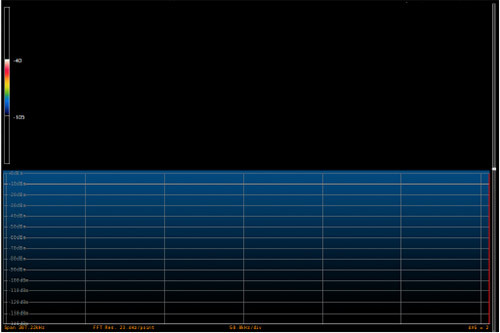 - WACK on 1420 kc in Newark, NY, transmitting 500 W, 232 miles to the WNW. - WQFG689 on 1710 kc in Jersey City, NJ, transmitting 10 W, 85 miles to the SW. WQFG689 is a TIS for Hudson County, NJ. - WICH on 1310 kc in Norwich, CT, transmitting 5 kW, 45 miles to the WSE. - WEMG on 1310 kc in Camden, NJ, transmitting 250 W, 162 miles to the SW.
- WWRU on 1660 kc in Jersey City, NJ, transmitting 10 W, 85 miles to the SW.
- WTTM on 1680 kc in Lindenwold, NJ, transmitting 1 kW, 162 miles to the SW.
- CKAT on 600 kc in North Bay, Ontario, 455 miles to the NW. All were heard using an 80 meter inverted Vee antenna. I am very happy with my new radio, but there is a problem: interference from the MacBook Pro battery charger/power supply. The interference is so strong that only the strongest AM stations are above the noise. The cable between the charger and the computer is the problem because the noise disappears completely when I disconnect the cable from the computer even though the charger is still powered. I installed ferrite cable clips on the cable, but that made no difference. I wrapped the cable 20 times around a toroid ferrite core, but that made no difference. 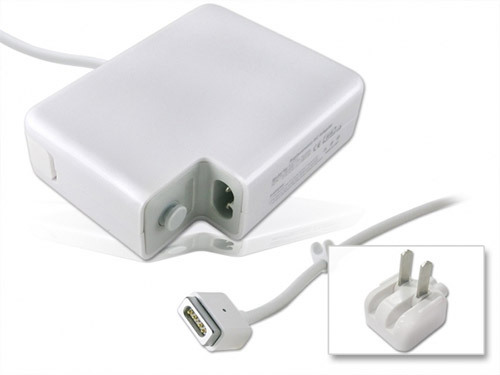 One solution that works is to use the ELAD-MacBook Pro combo without the battery charger. This gives me a few hours operating without the interference, but sooner or later, the battery will need to be recharged. I bought an ELAD FDM-S2 SDR Receiver at Hamvention. Back at my Hamvention hotel room, I checked the contents of the box containing my purchase. In addition to the receiver, there was a USB stick containing the SDR sofware and documentation, two BNC-to-SMA adapters to mate the receiver's HF and VHF SMA connectors to antennas, a USB cable, a USB Y-cable, a cloth bag for storing and transporting the receiver and four stick-on feet to attach to the receiver. After returning home and catching up, I installed the software in a laptop running Windows 7. The installation was quick and easy without any problems. I connected the receiver to the laptop and to my 80-meter inverted Vee antenna, then I powered up the receiver and started the software. The software loaded quickly and soon I was staring at an impressive graphical user interface (GUI), but I could not hear a thing and the display indicated that nothing was being received, as seen in the image above. My first thought was "dead on arrival" and I was not a happy camper. Thumbing through the manual did not provide a solution and then I noticed an on/off button in the lower left corner of the GUI! I clicked it once and, voila!, I could hear plenty ― what a relief! 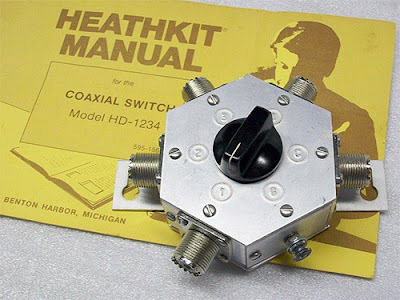 Without reading the manual, I fumbled around and managed to tune the receiver to the AM broadcast radio band. My first impressions were that the receiver was as sensitive and perhaps more sensitive than my Elecraft KX3 on the AM band. That was promising, but I did not play with the receiver much because I wanted to concentrate on getting the software up and running on my two-year-old MacBook Pro Retina 15-inch laptop. 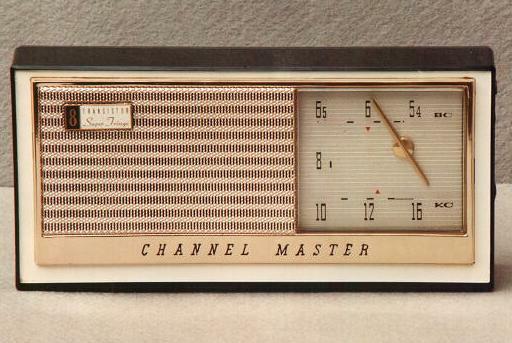 RadioJayAllen's latest post reviews an oldie, but goodie: the Channel Master 6515 “Super Fringe” AM radio. The 6515 was my first transistor radio ― a circa 1960 Christmas gift from my parents. Jay's review confirmed that the 6515 was an excellent receiver in its day. Back then, I didn't know a QSL from a Q-Tip, so I didn't know any better and did not log anything, but that radio pulled in stations from all over the left half of the USA and beyond. Jay's review also revealed that the 6515 was an expensive radio. I had no idea my folks paid $60 for it ― that's about $480 in 2016 dollars! I have no recollection what happened to my 6515 ― it is long gone. However, in a nostalgic moment, I acquired one via eBay for about $15 ― that's about $2 in 1960 dollars. Cosmetically, my eBay acquisition is in pretty good shape. Functionally, it needs some work. Replacing the electrolytic capacitors would probably bring it back to life... a project for another day. Memorial Day afternoon, I was relaxing on the front porch listening to random shortwave stations as my C.Crane CC Skywave receiver scanned the bands. I logged four new ones including WRMI, Radio Miami International on 19 meters, which was broadcasting an interesting shortwave listener's program at the time. At the end of the broadcast, they announced their address for reception reports, but I was conversing with my wife and missed the details. So I visited their website and found their e-mail address for reception reports. I cannot recall the last time I sent a reception report ― certainly not in this century, but I could not resist the ease of sending a report by e-mail and so I did. 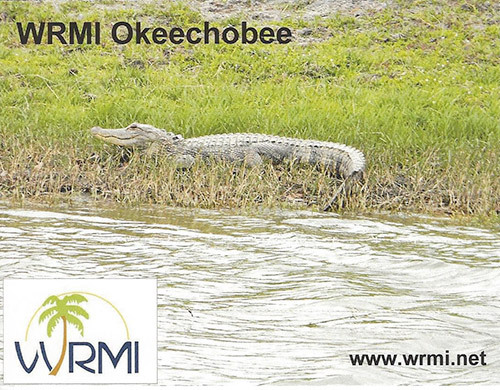 Within minutes, WRMI confirmed my report in an e-mail with the cool QSL card pictured above attached.